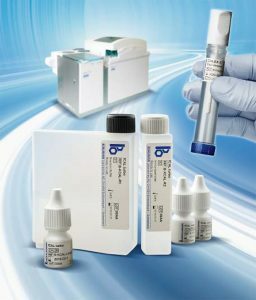 BÜHLMANN application specialist Christina Gabris has recently visited the UK to validate some new instrument protocols for the fCAL turbo assay. Christina spent time in hospitals around Newcastle to optimise CE marked protocols for the Beckman AU5800 and AU680. comparability of data between sites and provides ultimate flexibility for future proofing calprotectin services.